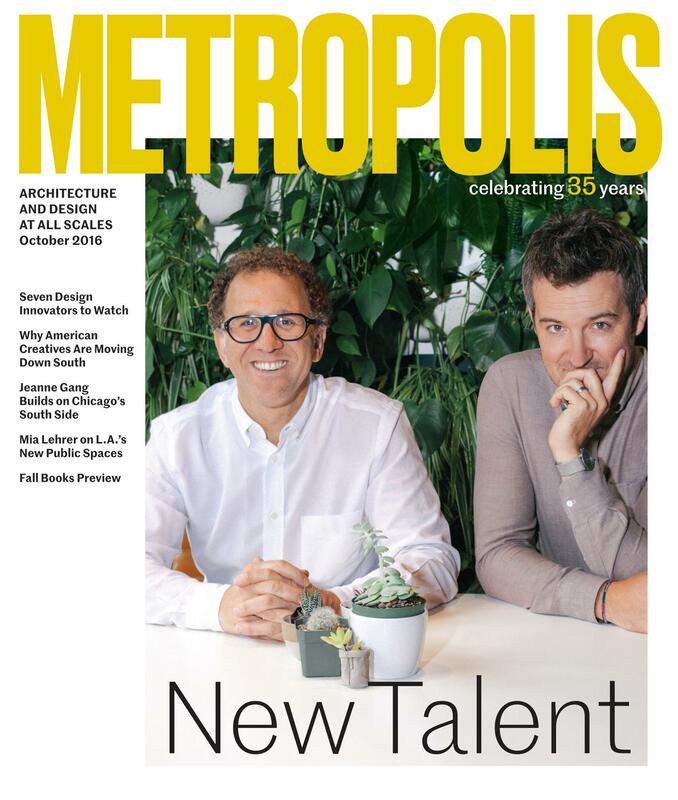 MA Design Studies alumni Dora Vanette (’14), Estefania Acosta de La Peña (’16) and Misha Volf (’16) published articles in the latest issue of major architecture and design magazine, Metropolis. Vanette covers Metropolis’ exhibition Talent Pool, which showcased five up-and-coming architects and designers at the 2016 Neocon in Chicago. Click here to read the full article. Meanwhile, de La Peña and Volf composed a rich and varied round-up of 37 “interest-piquing titles” for the hungry reader, spanning the four categories of Architecture, Design, Cities, and People. Click here to learn more about their coveted recommendations. Vanette, de la Peña and Volf each held internships at Metropolis during their time in the Design Studies program. The MA program, which is only four years old, has an impressive track record of connecting its students to the magazine, with alumni Komal Sharma (’15) and Finn Ferris (’16) also having held internships and publishing pieces in Metropolis. This entry was posted in Publications, Student News. Parsons Highlight: Design Studies MA Highlights. Program: Design Studies MA. Bookmark the permalink. Both comments and trackbacks are currently closed.